Our programs are a hand up rather than a hand out. Our goal is to help identify the core problems our neighbors face, address the issues together, and ultimately break the cycle rather than only treating the immediate need. Our neighbors must show a desire to change their present situation of dependency to one of independence and must follow through with the agreed upon plan to receive assistance. This program is not for people who do not make an effort to change; it is for those who are falling through the cracks. We often receive requests from families who have been waiting months due to fear and embarrassment from often unforeseen circumstances. Every client is given individual attention. Case management allows Greer Relief professionals to assess each client’s unique situation and formulate a plan for maximum efficacy in their lives. Because of this one on one approach, we are able to maximize confidentiality and lower the chances the client will find the need to return to us. After assistance is provided, Greer Relief attempts to match the client with other resources and agencies that can then further assist clients in overcoming their current difficulties. All records are kept confidential. Relief may also include food, hygiene, and household supply assistance. The J. Verne Smith Center houses Greer Relief as well as a number of other agencies devoted to serving residents of Greenville and Spartanburg Counties. Each agency has specific guidelines as to service area covered from the Center. 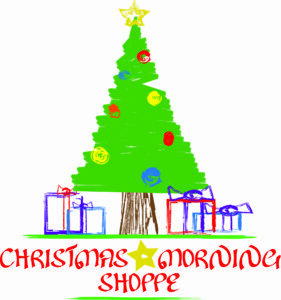 Christmas Morning Shoppe is one of the most exciting and progressive programs offered by Greer Relief. The goal of this program is to provide neighbors in need with Christmas gifts for their family under the tree. In turn, this prevents them from either spending their limited resources on gifts, or going without completely. This incentive program allows qualifying parents in need to earn Christmas gifts for their children, instead of depending on organizations that provide gifts through one way giving. Parents are then required to attend free classes through RENEW, Reaching Every Neighbor Every Way, to earn a shopping appointment. RENEW class topics include budgeting, job, and health & wellness. Greer Relief also partners with the Greenville & Spartanburg counties library systems for classes. Upon completion, parents make an appointment to shop in the Christmas Morning Shoppe. This beautiful Christmas store is housed at a donated facility, staffed by volunteers, and stocked with popular new toys and gifts which are generously donated by local churches, schools, corporations and individuals. A gift wrapping area is also provided to complete their Christmas shopping experience. At the Christmas Morning Shoppe, toys are selected, gifts are wrapped, life stories are shared and relationships are made. Our Christmas Morning Shoppe is in need of new toy and gift donations for this year. If you or your organization, church, school or business would like to donate toys, we would be so grateful. Click here to email our coordinators. The Spirit of Christmas Party: Hosted by a private funder for children ages 0 – 12 years old. Basic necessity items of a blanket, 2 bars of soap, crayons, a coloring book, 2 pencils, a spiral notebook, and a $15 gift card to Wal-Mart are given to participants.